"If I had my way, every fingerprint made today would be framed for eternity, if I had my way. However, those perfect little people in our lives grow so fast. The fingerprints will all be washed away someday. 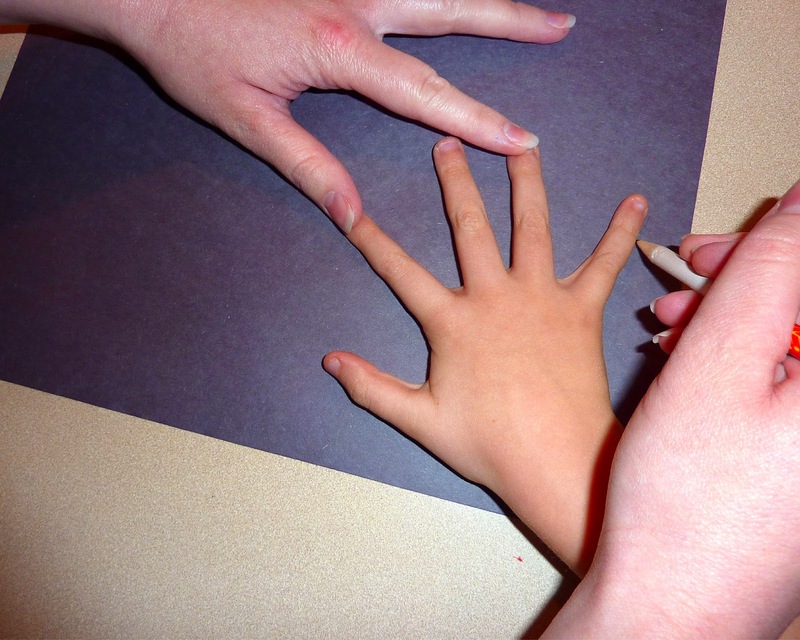 These two crafts are a fun way to preserve & remember the smallness for years to come. I love little tricks that make life easier! 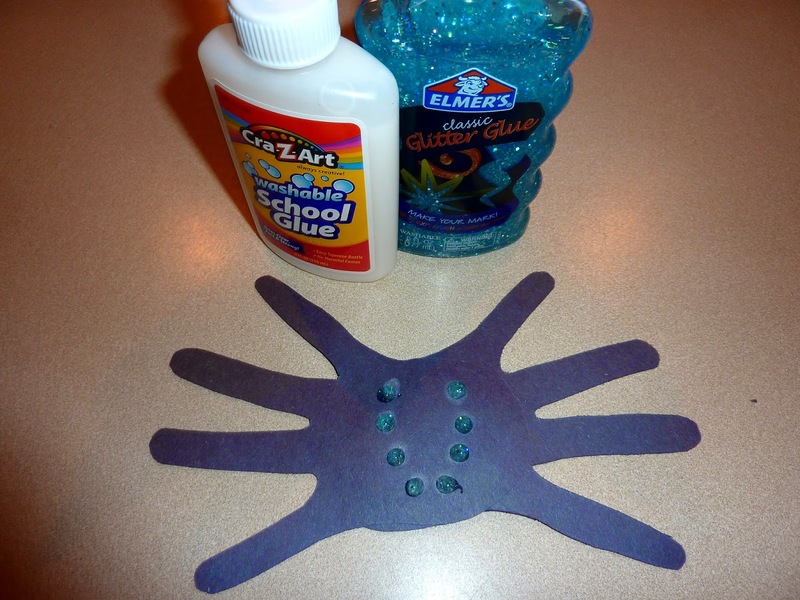 And I love, love handprint crafts! I also love, love easy! With an average of 14 crafts each day that my husband and I organize, my opinion is, the easier the better. I have found that I can cut through 4 pieces of construction or regular paper, or 2 pieces of cardstock at a time! Now that's a trick that makes my life easier! 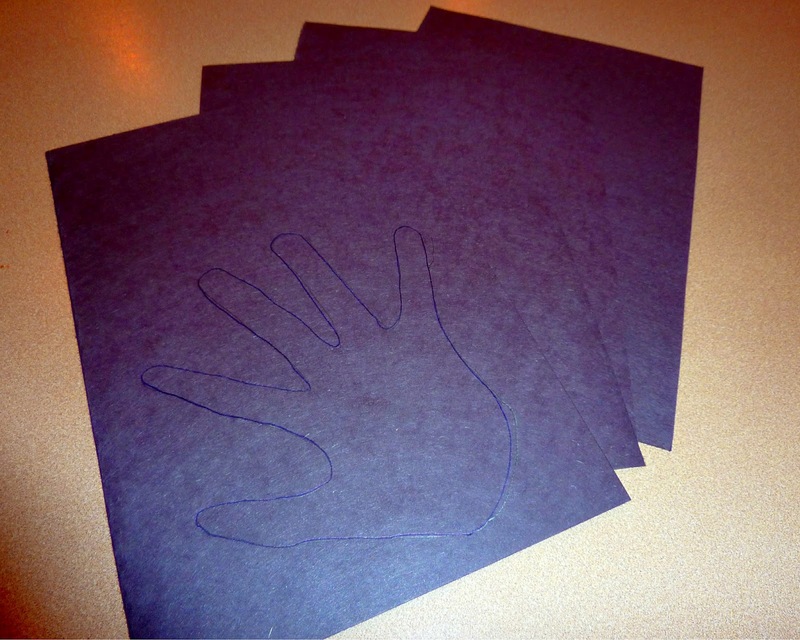 With one traced hand & 4 layers of black construction paper you get 4 handprints. Which is how many you'll need for these two projects. 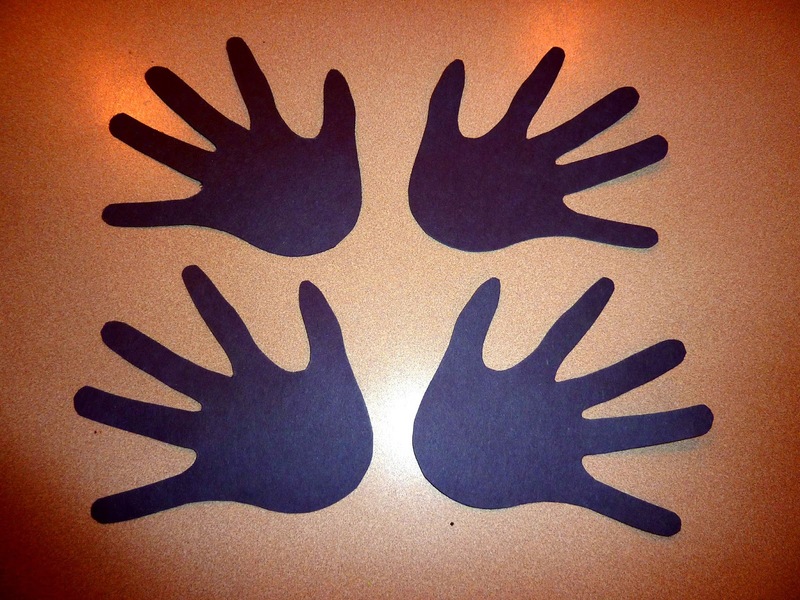 If you want to make one craft one day and save the other for another day, cut out all the hands now to save time in the future. Can you even imagine cutting 56 handprints?!? 14 is enough! With two of the hands, a cut out of a bat's head, and some wiggle eyes, you get this adorable bat. If you have a laminator or want to make a trip to your library. 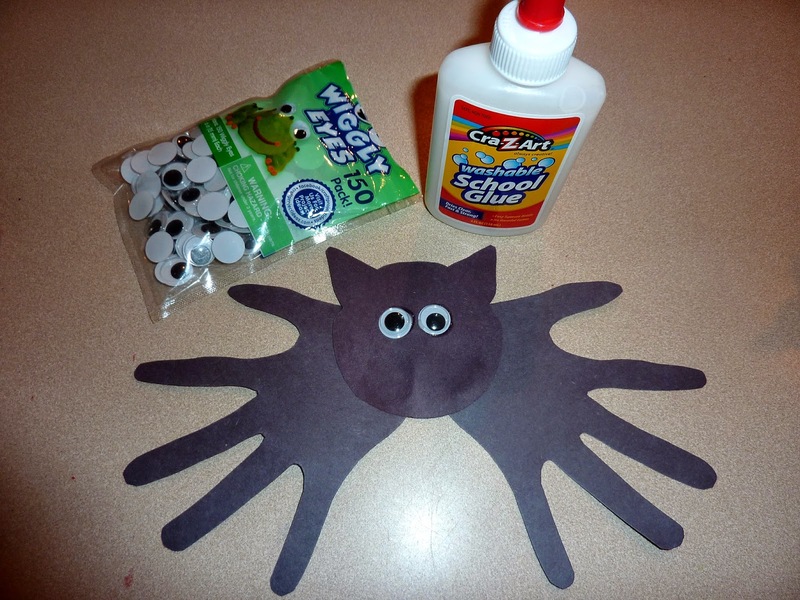 Laminate the hands and head so this craft can be a Halloween decoration for years to come. Hang from the ceiling, put on the wall, or even glue a magnet on the back for a darling refrigerator decoration. 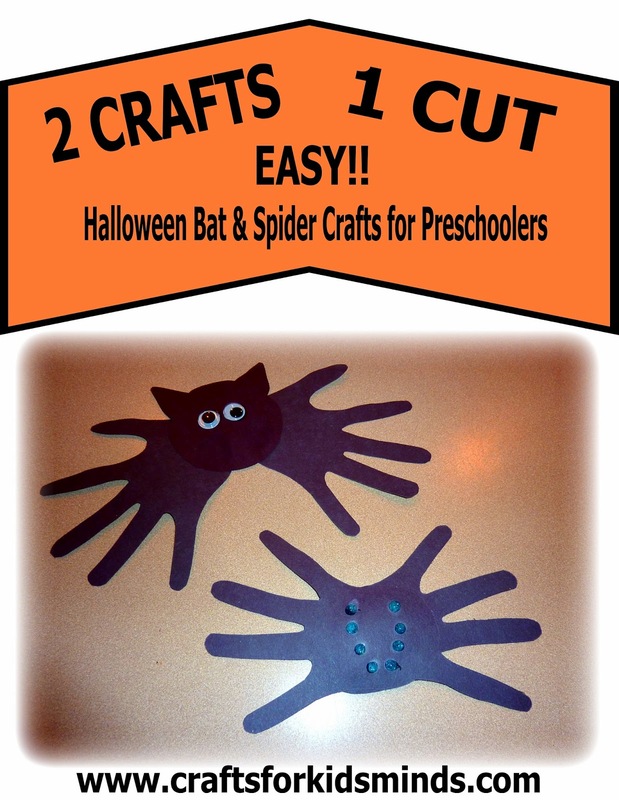 The other two hands (minus the thumbs) make a scary spider! I used glitter glue to make 8 eyes. Spiders are a great way to teach the number 8 during the Halloween season.